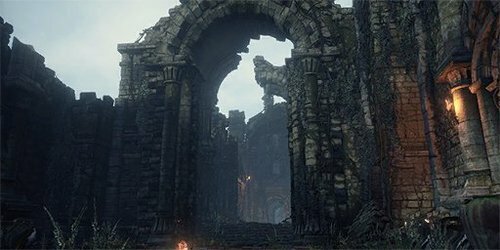 Farron Keep is where the Abyss Watchers hold vigil. 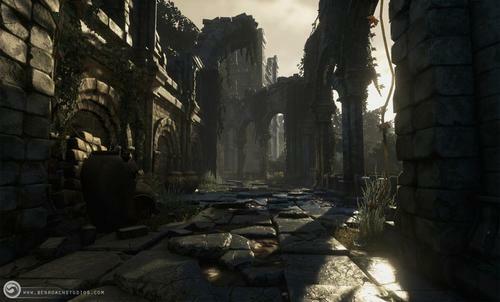 Farron, the place where the Abyss Watchers have their base, and it seems to be a future and decayed version of Oolacile (or Darkroot Garden) as the presence of the Golden Scroll, the corpses of the Mushroom people and even Elizabeth testify. It also makes sense for an Abyss-fighting organization to build their base on top of where the Abyss first appeared in the world. A golden scroll chronicling the vast research of the xanthous scholars. Give to a sorcerer to learn the arts of Oolacile. In the lost land of Oolacile, the sorceries orchestrated light, and were said to shine in golden hues. Ancient medallion depicting the crest of a wolf. Symbolizes the pact with the Old Wolf of Farron. Equip to pledge oneself to the Watchdogs of Farron. The Watchdogs ensure that the warriors sleep in serenity, by taking the form of loyal spirits and hunting down those who would trespass the woods of Farron. Summoning takes place automatically whlie this is equipped.